The project-website of EMSPI ( Energy management standardization in printing industry) and all its parts, with the exception of certain (hyper) links, are the property of Dienstencentrum (or the other partners in the project), as projectcoördinator of the EMSPI project. It is not allowed to this website or portions there of, disclose, copy or save without express written permission of the Dienstencentrum. The information on this website is carefully gathered by the EMSPI project partners. Nevertheless, it is possible that information on the project-website is incomplete and / or incorrect. To the information on this website may therefore expressly not legally binding. © 2018 DIENSTENCENTRUM on behalf of the project partners. Dienstencentrum accepts no liability for any malfunctioning of this website. Dienstencentrum accepts no liability for errors and omissions on this project-website recorded information and rates. The information on this site is regularly updated and / or modified. Dienstencentrum reserves the right to make any changes with immediate effect and without prior announcement. Certain (hypertext) links on this site lead to websites outside the domain of http://www.emspi.eu. These links are not owned by Dienstencentrum and when these links are activated, leaves the website of EMSPI.eu. 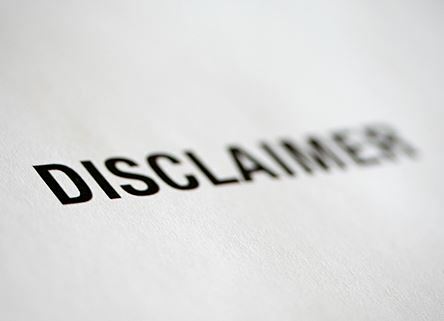 Any liability for the content of websites that are not Dienstencentrum will be denied. 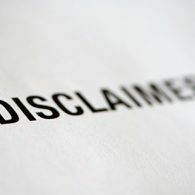 Dienstencentrum excludes all liability for any direct or indirect damages of any nature what so ever arising out of or in any way connected with this website. We carry out an assignment for you or your employer, and additional (personal) data may be required in the context of the business (administrative and financial) and substantive processing of this assignment. Because you provide this personal information to us when filling in a physical contact, registration, participation or (visiting) registration form. Because you provide this personal information to us when you fill in a contact, registration or registration form on the website, or your web browser provides it to us on the basis of your use of our website, and therefore agrees to this. You should be aware that we are not responsible for the privacy policies of other sites / apps that are accessible via a link on our website. In addition, EMSPI project partners or Dienstencentrum does not collect special personal data on its own initiative, but only when this is necessary on the basis of legislation or regulations or when you provide this on a voluntary basis. Incidentally, a special item could be derived from your e-mail address, for example, or from your dietary requirements - we do not use these characteristics for analysis or decision-making. Special data are, for example, ethnic origin, political opinion, religion or ideology, data about health or sexual orientation. In the case of photos of (recognizable) persons we ask (or your employer if possible) demonstrable permission. We always advise you to be cautious about providing unnecessary special personal data. It is possible that you provide us with personal information about others (in most cases this concerns colleagues during the execution of assignments, or parts of contacts and leads). The way in which you do this determines what role you have in relation to that data. We also treat this information carefully. Stivako may collect or obtain information that you have made public or have shared with us that we use as part of our legitimate interest to contact you to inform you about our products and services. When you ask us questions or share information with us, for example by telephone or e-mail, we will in any case record your name (first name and last name), gender, your chosen contact details (usually both telephone number and e-mail) and the substantive comment or information you choose to share with us. We can also record your position and the company where you work. We record the same information in our aforementioned physical forms. The same information, and additional information that you share with us during discussions, we record when we approach you with an offer. If you apply for a job with us, we will of course also store your CV and information about your availability and wishes regarding the job. If you use social media such as LinkedIn or Twitter that we or one of our employees use, we can use this media to contact you and maintain, we can also record this communication. When we carry out an assignment for you or your employer, we record the additional data required for the completion of the order, such as contact details and details of the person or company we do business with for the financial settlement (Chamber of Commerce number, bank account number, VAT number, payment agreements, billing address, delivery address, type of company, credit control). As a result, data such as the history of executed orders and your payment history arise. We record similar details about our suppliers. Based on the nature of our services, we can obtain personal data of various types during the execution of assignments. For example, when we help your organization to set up a management system in a project, we process the names of the people involved to, for example, record their role and tasks in the management system and assign activities during the project. This recording and processing of personal data is not the primary goal of our activities. When we help you personally with a profile analysis, we are of course talking about your personal characteristics. For this reason, we ourselves are responsible for the data processing, unless you (or your employer) have entered into a processing agreement with us.